In court, the winner is the litigation system. There is a better, more cost effective solution. Alternative Law gets just results. Business & Consumer Legal Conflict Resolution. Save money, save time, 100% money-back guarantee. 90%+ of cases settled without litigation. Settlement is no longer moving litigation mountains. We settle 96%+ of our family business issues. We are experts at dealing with the most challenging family members. Develop specific generation transition plans for you and your family. Resolution, closure, Money Back Guarantee. Rapid, cost effective resolution eliminates infighting and litigation. We will work with your lawyer, if you have one. Human Resources literally are the company life lines. People must function as a team in this marketplace. Does the firm offer a money-back guarantee? Who are their clients and references ? Are mediators approved by the U.S.Government? Do they have specific degrees in Mediation? Defined resolution and results timeline for your clients. Confidential, fair process for you and your family. We settle over 90% of our cases, without lawsuits. Rapid Resolution, reduces or avoids litigation costs. We always work with your lawyer, if you have one. But lawyers are not required. CLIENTS: Who are some of your clients? SMALL BUSINESSES: Do you work with small firms? DIFFERENCES: What makes your firm so unique? BEST IDEAS WIN, how does mediation work for my family? Q & A : Some important issues we explore this mediation? ALTERNATIVES: What other options do I have resolve my situation ? DIVORCE: If I need one, why do I chose your firm? COST : What is pricing and how much can I save by mediating? LOCATIONS: My family lives across the country, can you still help us? DIVERSITY:We are culturally diverse, can you help? This is a list of some of our representative clients. We work with both small and larger companies, non profits, family businesses, families, and individuals. Due to the confidential nature of some of our families, family businesses, and divorce cases and out of respect for the privacy of individuals, all are not listed here. Yes, 50% of our business programs are specifically designed for smaller companies. Small businesses and family businesses and are the lifeblood driving the American enterprise system. The competitive fast paced environment and budgeting constraints in today’s world require fundamenta,l result-oriented, specialized small business mediation services. Many of our commercial mediation clients are smaller and medium-sized businesses. Mediation can be utilized by small 1-2 person partnerships, start-ups, family businesses, partnerships, non-profits to larger enterprises. They range from businesses that you have never heard of, to thriving companies. These businesses demand competency, state of the art techniques, and real value. No company wants to waste its money paying for continuous conflict infighting, loss of productivity, or courtroom drama. This focus requires Alternative Law to be a strategic partner, to work with you on a one on one level. We can also work with your just administrative staff, or HR Department, in- house legal systems or outside counsel. Small business mediation provides the most effective alternatives and solutions to strategically compete in this ever changing marketplace. We design practical problem solving resolutions to any conflict without all of the legal costs associated with traditional practices. You no longer need to go to court to solve your problems. 1. Money Back guarantee. 2. Government Approved. 3. 90%+ settlement and satisfaction rate. 4. Minimal chances of litigation . 5. Certified Professionals with degrees in mediation. As a result of the success of its fair settlements with individual clients, businesses, plaintiff and defense attorneys across the state and country, Alternative Law Mediation Results, and its “Best Ideas Win Mediation Program,” for the 10th year in a row, has been acknowledged as an industry leader. We have been awarded multiple contracts with the Federal government, along with Fortune 500 companies, and small businesses. Alternative Law has also been appointed as an internal neutral government mediator and designated as an outstanding mediation firm by the U.S. Government and the EEOC. We mediate and settle cases for you or your business in your city, town and across the country. We have a very high rate of client satisfaction, because of our best practices and result driven settlement programs. ‘Best Ideas Win’ mediation programs are designed to clearly define and resolve the difficult conflicts of businesses as commercial mediators and we work with individuals divorcing couples and families on the consumer side . We work one on one with our clients in conflict, to design and implement a specific working plan to produce results in a timely manner. The Best Ideas Win is a very practical approach to resolving conflicts. It involves exploratory, interactive and participatory discussion, combined with a detailed analysis of the facts and legal issues surrounding the case at hand to help determine a fair and just resolution for you. In the first stage of our process, we explore the fundamental reasons underlying the conflict. We will explore all of the dimensions of the conflict: the facts, the issues, the rationales, the goals and the interests. Next our program specifically addresses the parties on interpersonal level, as we engage the parties privately to confidentially, to address any sensitive matters. Lastly we analyze all of the important legal issues and interpretations of the law that may affect the outcome, if the matter goes to trial. Unlike some mediators, we are not passive actors in this process. When engaged, we actively help develop the best ideas in order for both sides pursue the goal of a fair and just resolution to all of their difficult issues and concerns. 1. Are mediation settlements binding and enforceable, isn’t mediation voluntary? Yes the process of mediation itself is voluntary. However when we reach a settlement agreement, which we almost always do, that agreement becomes a contract. In writing, our agreements have the same legal protections as any other contract. 2. Do both sides need to agree to mediate the case? Yes. In order to effectively mediate, both sides have to be willing to try one session, If they are not satisfied, there is no cost or obligation to continue. After the first session, the parties can work in the same room with the mediator or work separately and privately with the mediator if they so chose. 3. Should I get the agreement in writing? Yes whenever possible in writing helps to avoid any future misunderstandings. There are other alternatives. You may choose facilitation where the parties have a managed discussion about particular subjects, with a trained facilitator leading the group conversation, keeping the parties on point but the ultimate goal is not resolution. Arbitration is another alternative. The arbitrator is your own private judge, hired by both sides. He makes binding rulings and the ultimate decisions in a semi-formal trial format. This process is usually quicker than a trial. Like court, you can present evidence and witnesses, but have no control over the outcome and you must accept whatever the arbiter says without question. Then there is litigation with all of the known associated dollars and time, the ‘good’ old fashioned way. Go out and hire a team of lawyers and sue each other for years. Remember if you mediate first and you are not satisfied, you can always return to this litigation option, if that is really what you want. Alternative Law focuses more on mediation because it has the best settlement results and the highest rate of client satisfaction. Divorce mediation is about making fair decisions, getting results and making sound plans for the parties involved in a divorce. It is about the people involved, how to best settle their differences and specifically improve their life going forward with specialists trained and certified in divorce mediation. 1. Fair, Confidential, Divorce and Marriage Solutions. 2. Months quicker & less harmful to your family than court. 3. 35%-65% less expensive that litigation. 4. Approved by the government. 5. Certified Divorce & Family mediators. 6. Industry leading Money back guarantee. Divorce mediation must be handled in a complete and in a cost effective manner. At the end of the mediation, the necessary papers will be filed in court and you will be legally divorced. It also important to help the parties understand not just what they want, but what they need, in terms of both the process and the future plans, or simply put ” where do we go from here.” We will provide you with a complete road map to resolve your case quickly and efficiently for both the spouses and any other family members. Alternative Law Mediation Results focuses on tangible results and the most practical and personal mediation strategies to achieve a fair settlement and saving you time and money in the legal system. As you might already know, unlike most other companies, we offer a 100% money back guarantee that is the leading guarantee in the mediation and legal industry. Pricing depends upon on the specific details and complexity of your case. We try to make fair allowances for non-profits, veterans, certain businesses and those of limited means. There may be appropriate sliding scales, when submitted by the EEOC or your local human rights agency. You should discuss this with your selected mediator prior to the process being initiated, but savings of 35%-65% over traditional litigation methods are reasonable. Justice and mediation both work best for business and consumers when you begin with a fair playing field, and end when the best ideas win. We have made the first step very easy. Please click the Read More button and for an initial free, confidential analysis and quote. As an industry leader, our services are very competitive and reasonable. There is no retainer necessary. Depending upon the complexity of your case, prices range from $1000. One of our representatives will personally provide an initial analysis, outline the next steps of the process, confidentially discuss your mediation plan and address your private concerns. We have many convenient, locally owned or operated office locations in all 50 states to meet the all the needs of our commercial, family businesses , consumer, plaintiffs and defense lawyers, and government clients. Whenever possible we work with all types of local clients, court systems, mediators, and local counsel to help develop and foster problem solving techniques and skills within communities, business groups, and organizations. In cases where it is necessary, we can go to your office or home to provide mediation services. In general, Alternative Law provides provide complete mediation and ADR, Alternative Dispute Resolution Services services at our locations on a scheduled basis coordinated by our digitized and electronic delivery systems throughout the country. Click on the button below or please call Alternative Law Mediation Results at 1.800.529.1516, for a location nearest you. Alternative Law diversity mediators works with companies and people from all different perspectives and cultures. Diversity is fundamental to understanding and resolving cross cultural conflict, its analysis and prevention. In cross cultural issues, we try to address the perspectives of the cultures first, the individual next and then the group as a whole. With over 30 years of experience, our mediators have all been trained by approved institutions such as: U.S. Government, EEOC, ABA, federal and state courts, Family Mediator Council, Cornell University, Harvard Law School, and UMass Dispute Resolution Masters Programs. Alternative Law mediators are also selected and certified by the U. S. Government to settle federal disputes. All of our mediators are certified to be covered by our 100% Money Back Guarantee. 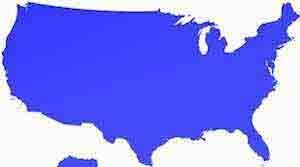 We have offices in all states and provide mediation services to hundreds of other cities all across America. In order to provide you with the quickest, most efficient and cost effective turnaround, there are no travel time charges. For your convenience, we are the only mediation firm that will mediate on site and in your offices for no extra charges. Of course you can meet in our offices if you so choose. Mediation requires focused efforts to resolve effectively the difficult challenges that we all face. Alternative Law mediators produce positive mediation results approximately 90% of the time. When you have reached a difficult conflict in your business, at your job or in your life, at your job, Alternative Law mediation program helps you become singularly focused on the nature the conflict itself. There are no easy , simple or one size fits all solutions. We develop and coordinate a very realistic plan and to clarify your goals and clear alternatives for a fair legal resolution. The facts of your case and the way that they are interpreted and presented, combined with your effort and energy are very powerful forces. They can either be used proactively or destructively to revive or destroy you or your company. We analyze the historical trends, the present interactions and realistic future alternatives provide an essential assessment of your situation and a step-by-step plan for a positive final resolution and results. Often, the best opportunities for movement and resolution present themselves when conflicts have escalated the most. When these conflicts are the most painful and at their peak, the need for change is most critical. Proper, well thought-out responses and well-directed strategic actions are most important at this juncture. It is up to you and us together, as a part of the mediation process, to be alert and recognize those very challenging opportunities. It is often said that crisis and opportunity can be inherently intertwined. This is the time to make things work for you. In difficult mediations, everyone walks a fine line to create a fair and just resolution. When you do, you can celebrate. When you don’t, you must demand change. You must draw upon all of the resources and perspectives of your resolution and mediation team to develop quickly better alternatives and solutions. Alternative Law Mediators are fact-based realists, resolving issues using the Best Ideas Win, multi-disciplinary approach. Knowledge, creativity, education, experience and determination are critical skills in the mediation process that produce comprehensive, lasting settlements. We all know that mediation does not work in every case, but, usually, it is effective. Nothing that is of quality in life comes easily, not even mediation results. Alternative Law achieves results even in the most difficult cases. Your satisfaction is guaranteed or your money back. As a contracted mediation client, you, your family, or your firm are entitled to three mediation sessions or up to 8 hours free if you are not satisfied. I wholeheartedly recommend Alternative Law Mediation and Frank Fallon as the best providers of mediation and alternative dispute resolutions services. My law firm and I have been using their services for almost ten years and we cannot overstate how impressed we have been with the level of expertise and commitment they have demonstrated over and over again in reaching win/win resolutions of difficult disputes. Alternative Law Mediation Results resolves well over 90% of our cases. This is why we can offer a 100% Money Back Guarantee. While we in fact settle most of our cases settle, we recognize that there still is a very small portion that do not. Please understand that your settlement should encompass many components such a future plan the parties, resolution of the particular facts of each case and the best available alternatives and options that are developed. We are the industry leader in client services and we have one of the highest settlement rates in the country.